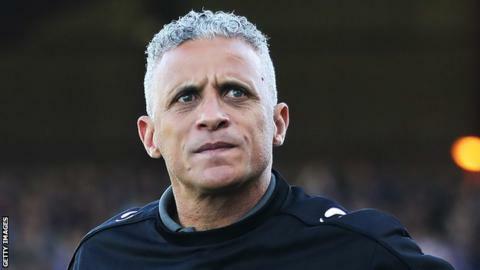 Carlisle United boss Keith Curle said that he was happy with the 3-3 draw with Exeter in the play-off semi-final. He said that the game was an entertaining one for both sets of supporters and that both teams should be praised for putting up such a show. Exeter City was leading at some stage of the game 3-1, and another opposing team might have been discouraged at this time. But Carlisle did not surrender easily and ended up scoring two quick goals that allowed them to clinch a 3-3 draw. Keith Curle said that he is happy with the way the match and that all the players on the pitch gave their best in order to get such a game. He said that the players did not let themselves influenced by the pressure and played their best football on the day. Mark Gillespie was in action against Liverpool in the past term and even starred in the League Cup at Anfield but is now ready to face life in the League Two division. The last season was one that fans and players of Carlisle United would not forget in a hurry as there were a lot of highs and lows. For Gillespie, it was one memorable moment as he was the hero in October when they faced Liverpool in a penalty shootout in the League Cup. Gillespie was awarded the Man of the Match as he was impressive throughout regular time and saved the kicks of Philippe Coutinho and Adam Lallana, even with the pressure of playing at Anfield. One of the lows was when he had to be rescued from the first floor window of his house when the floods hit Carlisle. He eventually joined a few other players that volunteered to repair the damage the water did. The club also finished on a disappointing note when they finished tenth in the League Two, flooring hopes of a possible promotion to the League One. Despite not making it to the upper echelon of clubs, Gillespie remained a standout player with his reflexes, agility and distribution prowess.